Team Chaos was never expected to do well in the Stockholm Major. It’s not that they are a bad team – they have top tier players like w33 and Misery mixed in with new talent like hFn. Yet, the competition in top tier pro Dota right now is absolutely brutal. Because of this, Chaos seemed to be destined for last place. Even though they are out of the tournament on 9th-12th place, they did go out guns blazing. They eliminated Team Liquid in a best of one and managed to win their first game against Virtus Pro. The thing is, the performance of Chaos in this tournament is very curious. They took a convincing last place Liquid and VP. If the second round of the losers’ bracket was a Bo1, they would have eliminated two of the top teams in the world. It could be argued, however, that if the first round of the losers bracket was a Bo3, they wouldn’t have eliminated even Liquid. The reason is simple – Chaos achieved both wins with the same strategy. Logically, if Chaos are not that strong as a team, but they are winning with this strategy, it must mean the strategy deserves some attention. Lane dominance: Ursa destroys melee lanes, Razor uses Static Link to win mid, and Chaos even pool regen items on Omni to make him impossible to zone out and to ensure he gets levels and farm. Cost-efficient items: they use innovative builds, which make them ready to fight from very early on. Below I’ll go in more details. As you can see, the games were very even until the 10th-minute mark, and after that, the resource graphs skyrocket and allow Chaos to finish the game in the early 20 minutes. Early-mid game death-ball strategies have had their time to shine in Dota in numerous patches, so this is nothing groundbreaking. What Chaos played, however, is probably the best iteration of this strategy in the current patch. The first key hero is Razor. He has always been a lane dominator thanks to Static Link, so this is nothing new. He always had problems in two other categories, however. First, he was a mediocre farmer, which meant that when things don’t go his way he starts falling behind. The new Unstable Current AoE damage helps in this regard. Second and much more important for this strategy - he has no disables. This made him a bit awkward to fit into a lineup. He was not a hard-carry damage dealer, but he was also not a utility core hero. The slow from Plasma Field and more importantly – Rod of Atos solve this problem to a large degree. It helps him stick to targets with Static Link, which increases his impact in fights, but it also helps his whole team do the same. He needs control. 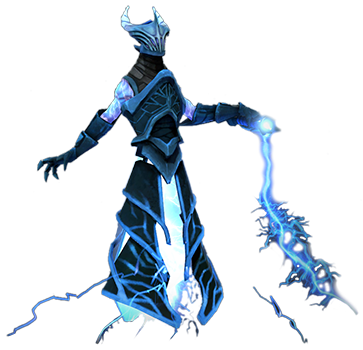 Unlike Viper who has strong slows, Razor has no in-built mechanism to keep his opponents in place while he drains their damage. He needs stats. Razor shines in long fights because he needs time to drain damage. He needs STR for survivability, AGI for damage (AS increases his DPS a lot), and even INT to spam his spells freely when fighting or farming. Atos is the core item, but other cost-efficient stat items are also important for the hero’s success. W33 plays him with two Wraith Bands, Phase Boots (great for chasing and the armor makes Razor tankier), and S&Y after Atos. Ursa saw a surge in popularity after his MS got increased in 7.21. Needless to say, 15 (now 10) base MS is a huge deal for a hero that desperately needs to stick to his target to kill it. He saw a couple of nerfs since then, but he is still a top tier pick. What’s interesting here, however, is that the game plan of HFN’s Ursa is a bit different than the traditional one in pubs. For ages, Ursa’s builds revolved around two items – Morbid Mask and Blink Dagger. One allows you to get a very fast solo Roshan. The other – to gank heroes. The strategy of Chaos, however, doesn’t revolve around ganking. After the laning stage, they move and take fights together as 5. Because of this, Ursa benefits more from cost-efficient stat items than from a naked Blink or Mask of Death. Phase + Drums combined with his 325 base MS make him very fast and durable. With the help of the control of Razor’s Atos and slows, he can safely reach targets by running. Phase + Drums is superior to Blink for sticking to your target after you reach it and from changing from one target to another, which is something you want to do in team fights. This item build philosophy is reinforced by his next item – Basher, which is the best item on Ursa for sticking to your target. Later on, he can go back to Blink and lifesteal if he needs it, but the game plan is to secure the victory in the early-mid game. Heavenly Grace is inferior to his old Repel in team fights, but it is superior for laning especially after the buffs to the spell in 7.21 and 7.21b. It gives Omni more sustain and makes him extremely hard to zone out, which means as an offlaner he can get some resources without a lot of help from his teammates. 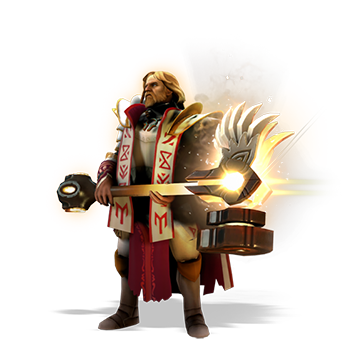 The main reason he fits this strategy, however, is that he is a very strong 5-man Dota hero (especially after the radius buff to Guardian Angel) and can keep his ultra-aggressive cores alive while they actively force fights. 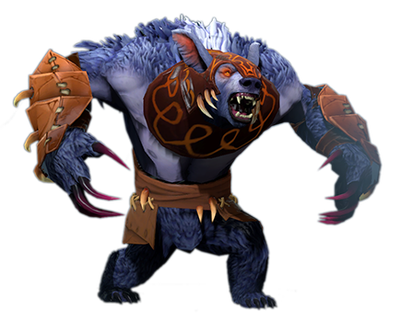 They laned two ranged heroes versus Ursa, which made his laning stage difficult. They also laned OD versus Razor – OD is good against him because he can use Astral to break the Link. Omni is what keeps Ursa and Razor alive, and he no-longer offers spell immunity. This makes Leshrac and OD great damage dealers against him. Moreover, OD’s Astral is a great saving mechanism against the single-target focused Ursa. Chaos also have Enigma in their draft, who is directly countered by the enemy Rubick. The fact that VP lost the game in 22 minutes despite their theoretically higher mechanical skill and a good plan for the laning stage and mid game speaks for the insane strength of the lineup of Chaos. If you’re playing with friends, those three cores should bring you a lot of success. Even if you are playing alone, however, you could have great results with these heroes. With the recent buffs and new item builds, they are very strong even on their own. The betting advice here is pretty straightforward. Razor is strong. Ursa is strong. Razor + Ursa + Omni is an insane draft. Keep a close eye on the drafting stage and pay attention when these heroes slip through without being banned. The other teams probably studied the Chaos wins as well. Someone might imitate the strategy, which could give them a big advantage and this could provide a very valuable live betting opportunity.